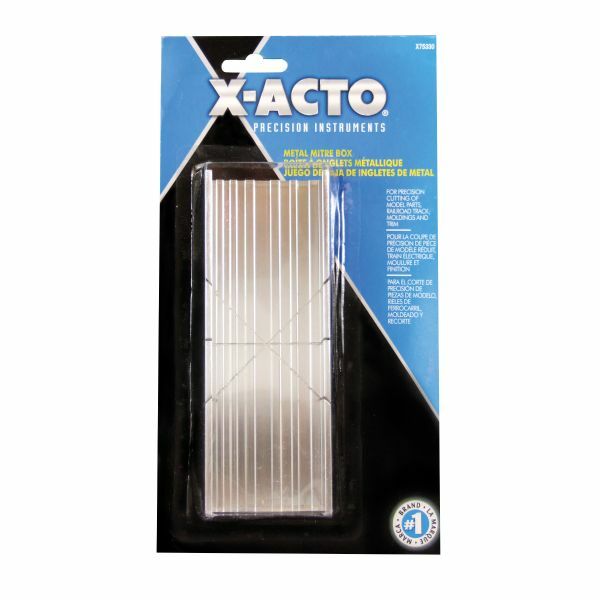 Slotted sides guide razor saw for accurate mitres of model parts railroad track moldings and trim. * Formed grooved base holds material in place in widths of 3/16" 5/32" 1½" 1/8" 3/32" and 1/16". * Materials to be cut can be up to 7/8" deep.